Many gardeners like to plant bulbs during fall for spring arrival, because the bulbs breathe new life into a space that might have been dull during winter. And, because they give forth blooms that are perfectly suitable companions for spring-blooming wildflowers. But, spring-planted bulbs also give off a show and it’s one that we think is worth consideration. These bulbs dazzle with color during summertime, and they offer a welcome surprise during a season that’s not known for offering abundance in a garden. The following are some of the best bulbs you can plant during spring, if you want to enjoy the beauty of brilliantly colored and shaped flowers during a time when many landscapes are looking a bit torched. You can absolutely grow lilies from bulbs planted during spring. Plant your lily bulbs anytime during the season and enjoy a variety of colors in your garden come summer. Choose Oriental hybrid lilies (like Casa Blanca and Star Gazer) or hard-to-find lilies like the golden-rayed lily of Japan. 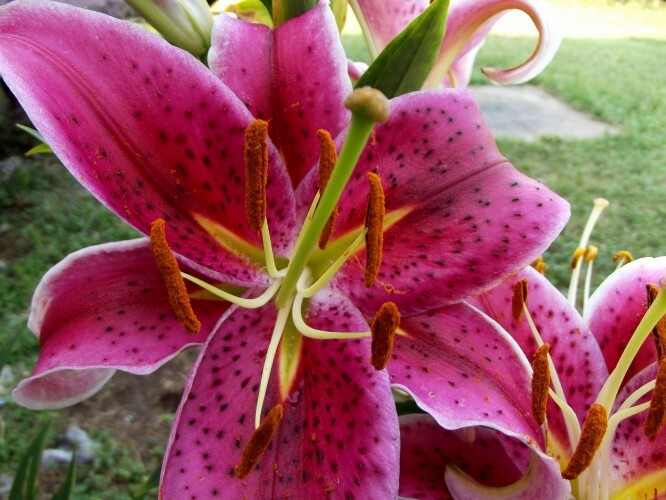 These are often considered the most beautiful lilies in the world. Planting tulips during fall, for spring bloom, is tradition for many gardeners. But, we like to plant them during spring as well, and let them display their pretty colors long into August. Tulips are simple to sow and grow, and they’re perfect additions to gardens that contain wildflowers or more formal varietals. Plant daffodils during spring and you’ll have a colorful garden with flowers that are easy to maintain come summer. These blooms, even when their foliage dies down, will keep coming back for you. If you want to turn their soil every so often, they’ll love you even more. In addition to planting these bulbs during springtime, you can plant irises and crocus into the soil and end up with a stunning garden when summer rolls around. Do you plant bulbs during spring? If so, what do you plant and do you also keep a bulb garden going year round? We’d love to hear from you in the comments below. Many gardeners like to plant bulbs during fall for spring arrival, because the bulbs breathe new life into a space that might have been dull during winter. And, because they give forth blooms that are perfectly suitable companions for spring-blooming wildflowers.But, spring-planted bulbs also give off a show and it’s one that we think is worth consideration. These bulbs dazzle with color during summertime, and they offer a welcome surprise during a season that’s not known for offering abundance in a garden.The following are some of the best bulbs you can plant during spring, if you want to enjoy the beauty of brilliantly colored and shaped flowers during a time when many landscapes are looking a bit torched.